Kombucha, lime and mint Mojito. Keep one of these in the fridge at all times to impress your guests. Also can be used in making delicious cocktails! We suggest using green tea raw kombucha in the fermentation process as it’s light finish pairs well with the cooling mint and citrus from the lime. 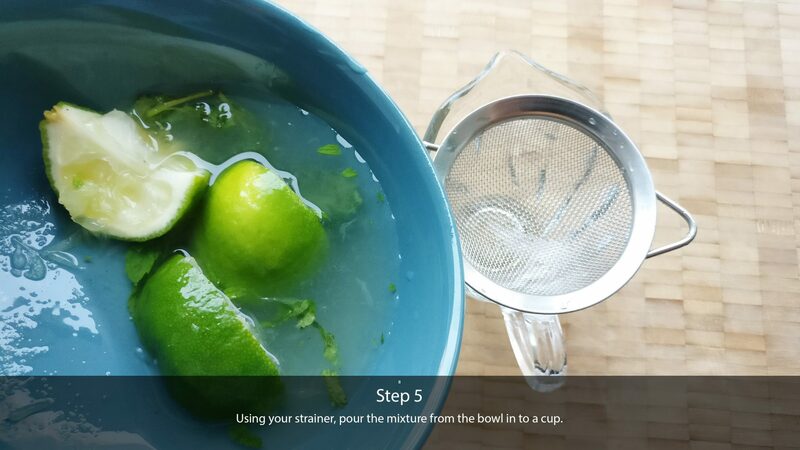 Wash your lime and mint leaves. Cut the lime in to quarters and set aside 2 or 3 pieces. 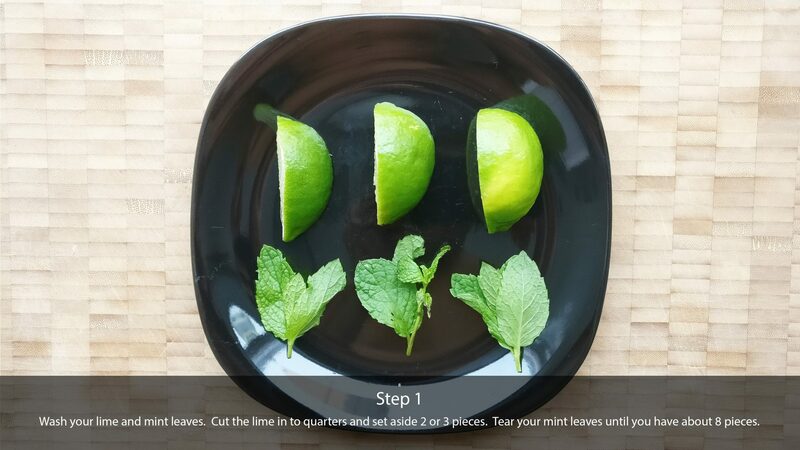 Tear your mint leaves until you have about 8 pieces. 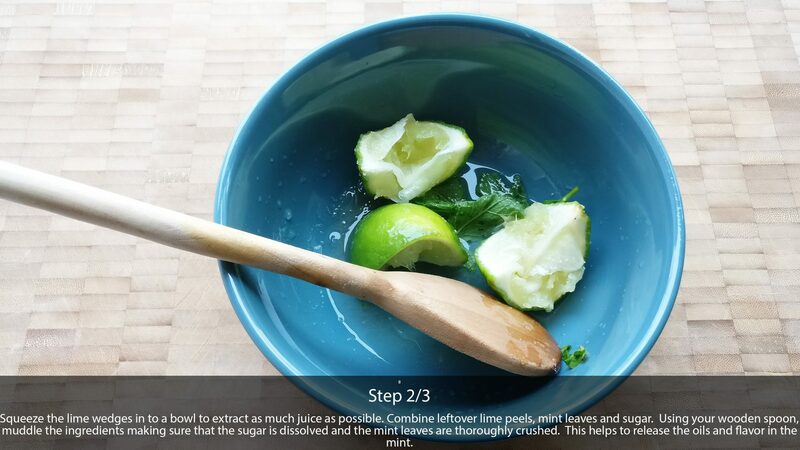 Squeeze the lime wedges in to a bowl to extract as much juice as possible. Combine leftover lime peels, mint leaves and sugar. Using your wooden spoon, muddle the ingredients making sure that the sugar is dissolved and the mint leaves are thoroughly crushed. This helps to release the oils and flavor in the mint. 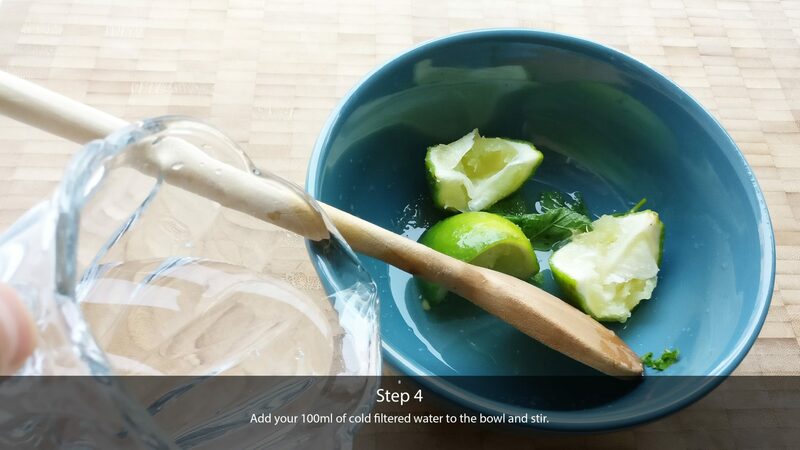 Add your 100ml of cold filtered water to the bowl and stir. Using your strainer, pour the mixture from the bowl in to a cup. 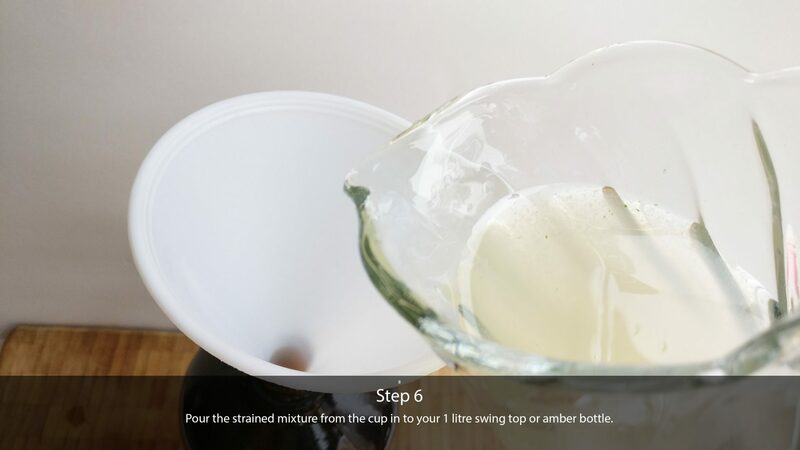 Pour the strained mixture from the cup in to your 1 litre swing top or amber bottle. 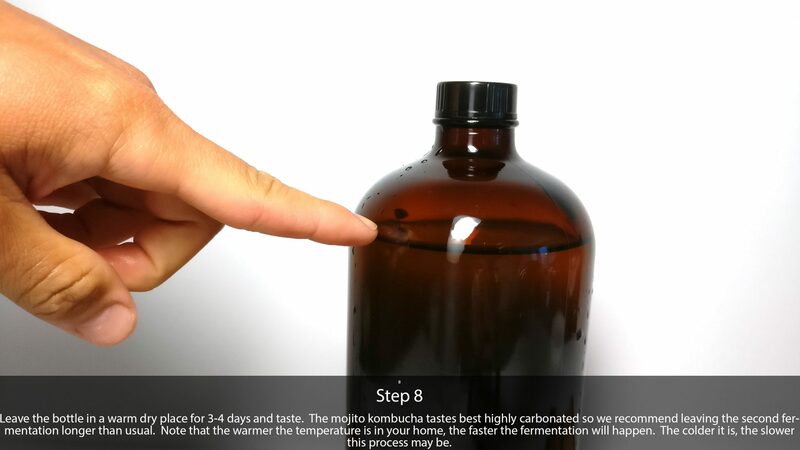 Pour 800ml of raw green tea kombucha in to the bottle and seal the cap so that it is air tight. 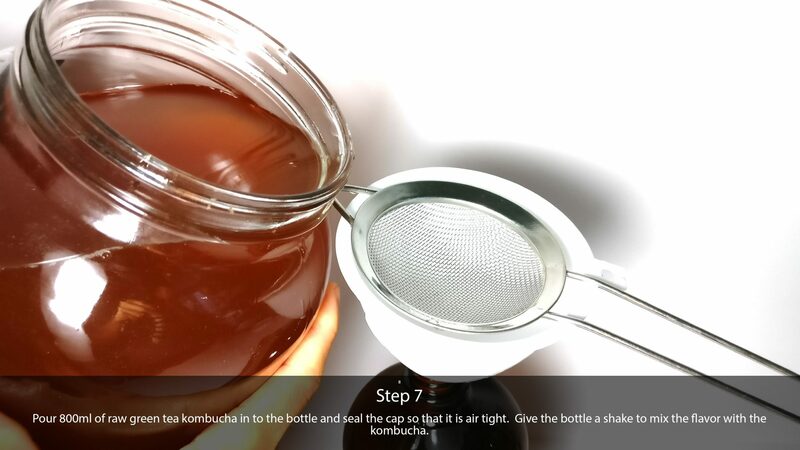 Give the bottle a shake to mix the flavor with the kombucha. Leave the bottle in a warm dry place for 3-4 days and taste. The mojito kombucha tastes best highly carbonated so we recommend leaving the second fermentation longer than usual. Note that the warmer the temperature is in your home, the faster the fermentation will happen. The colder it is, the slower this process may be. Refrigerate and serve! 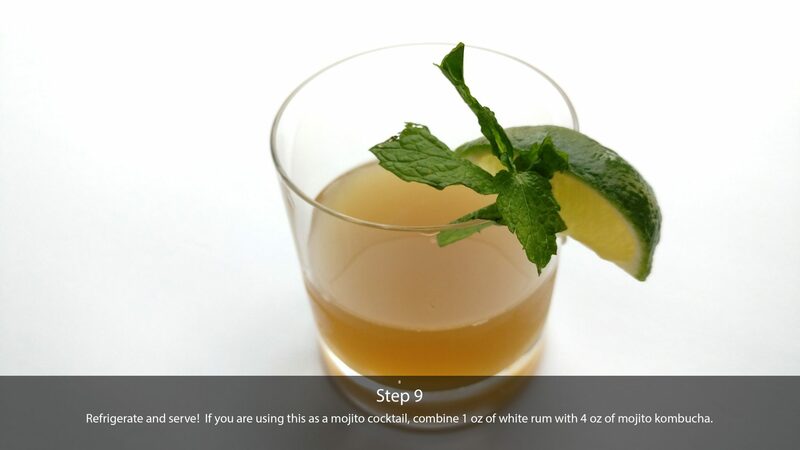 If you are using this as a mojito cocktail, combine 1 oz of white rum with 4 oz of mojito kombucha and serve on ice with a lime and mint wedge for garnish. To avoid the carbonation from spilling over, we suggest slowly burping the bottle at day two to let a small amount out. Refrigerating until cold before opening also helps to control it from spilling over. We suggest adding organic cane sugar to the mojito recipe so that the active bacteria has a food source in the second fermentation. This will allow for optimal carbonation.